London Mayor Sadiq Khan (Labour) has secured £3.15billion in government funds to help start building at least 90,000 affordable homes by 2021. This is intended to help Londoners who would otherwise struggle to rent or buy. It’s part of ‘Homes for Londoners’, the Mayor’s work to tackle London’s housing crisis. The Mayor and Government have agreed at least 58,500 of this total will be a combination of London Living Rent and shared ownership. The Mayor is committed to delivering homes that are tailored to the different needs of Londoners. He published his ‘Homes for Londoners: Affordable Homes Programme 2016-21’ funding guidance in November 2016. His long-term aim is for half of all new homes to be affordable. His Homes for Londoners: Affordable Homes Programme 2016-21 is intended to increase the supply of new homes and the number of those that will be genuinely affordable. The Greater London Authority expects that most of the homes in this programme will be built by partners who would deliver half, or more, of their homes in London as affordable. Supplementary Planning Guidance was published at the same time. 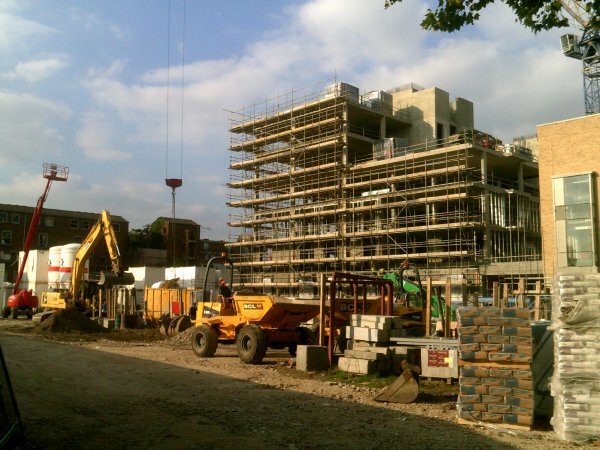 Regeneration scheme at Wornington Green, Kensington.